Humatrope is a human growth hormone (HGH) product produced using E. coli recombinant technology by Eli Lilly. 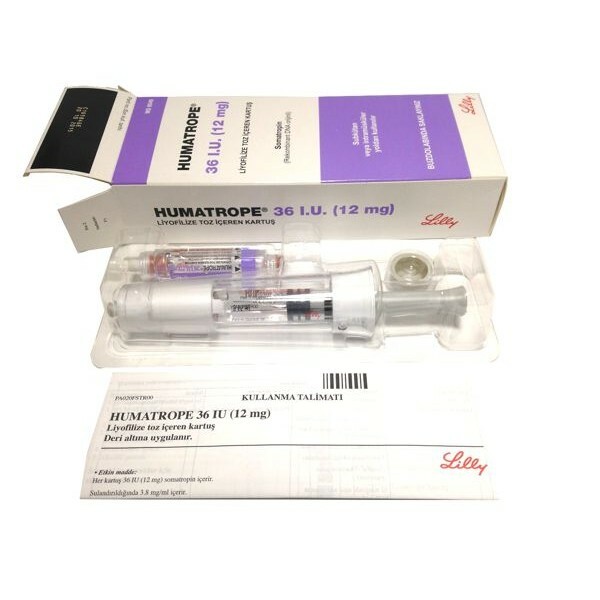 Humatrope HGH is identical to naturally occurring HGH and comes in 3 different strengths: 6mg (18IU), 12mg (36IU), and 24mg (72IU) liquid (3ml) cartridges. Humatrope should be used with Humatro Pen. Humatrope (Somatropin, rDNA origin, for injection) is a polypeptide hormone of recombinant DNA origin, synthesized in a modified Escherichia coli strain where the gene for human GH has been inserted into the bacterial genome. 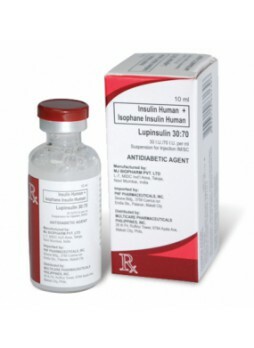 The peptide consists of 191 amino acid residues with a molecular weight of about 22kD. The amino acid sequence of this peptide is identical to that of human GH of pituitary origin. Humatrope is manufactured in a form of a sterile lyophilized powder intended for subcutaneous or intramuscular administration after reconstitution with the accompanying diluent. Humatrope is a highly purified preparation; however, Phosphoric acid and/or NaOH may be added to adjust the pH. Once reconstituted, solution has a pH of approximately 7.5. This product is oxygen sensitive. 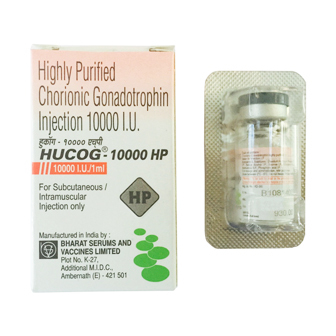 Vials HGH 36IU Pfizer/El Lilly: Each vial of Humatrope contains 5mg Somatropin (15 IU); 25mg mannitol; 5mg glycine; and 1.13mg dibasic sodium phosphate and is supplied with an accompanying 5mL vial of diluting solution containing Water for Injection with 0.3% metacresol as a preservative, and 1.7% glycerin. 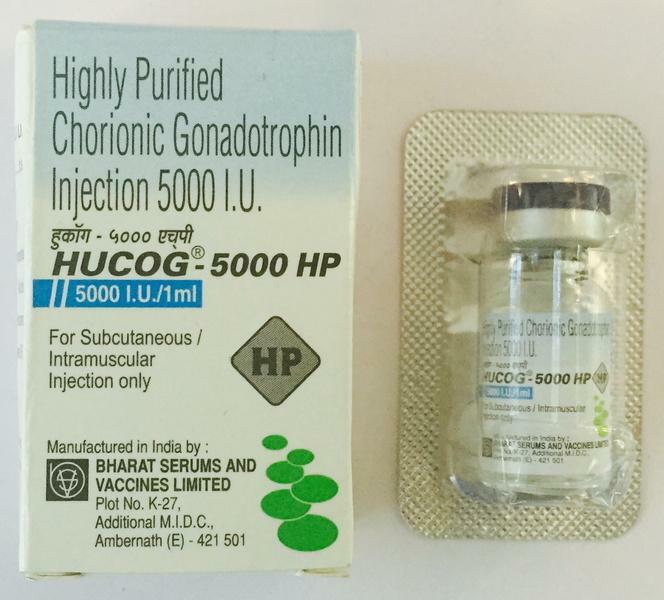 Cartridge HGH 36IU Pfizer/El Lilly: Cartridges of Humatrope come at 6mg, 12mg or 24mg of Somatropin. Each cartridge is supplied with an accompanying syringe containing approximately 3mL of diluent: Water for Injection; 0.3% metacresol as a preservative; and 1.7%, 0.29%, or 0.29% glycerin. Male patients with Prader-Willi syndrome are more susceptible to developing breathing problems when using Somatropin; especially severely overweight children, those with pre-existing lung/breathing problems (like sleep apnea, lung infections, lung disease). Children should be continuously monitored for upper airway obstruction prior and during the treatment; doctor should be informed immediately if any signs for upper airway obstruction appear: shortness of breath, coughing, or new or increased snoring.